A two vehicle crash closed the A1 northbound between Stamford and Grantham this morning, Tuesday January 5. The road was fully shut between the B6403 High Dike turning for Woolsthorpe and Easton and Heath Lane, the Hungerton turn. 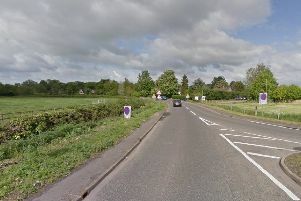 The collision between a lorry and a car took place at 6.55am this morning. The Fire and Rescue Service have freed the motorist from the car and he is being assessed by the Ambulance Service. It is not thought that his injuries are life-threatening but he has injured his back.